This post begins a series on the one-of-a-kind tastes of Natural North Florida: From restaurants to homegrown produce to sweet treats and delicacies you’ll find in the area. Our first featured delicacy is the unbelievably rich shiitake mushroom pate’ from Gainesville’s Abundant Edible Landscapes. Whether you partake in the carnivorous version of pate’ or not, you’ll find this version, which purees shiitakes with olive oil, sunflower seeds, nuts and spices, a sophisticated version with plenty of flavor. 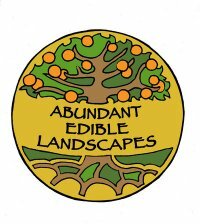 Abundant Edible Landscapes sells the pate’ as well as its other culinary creations like nopales cactus salsa: Check out their Facebook for opportunities to buy some when you’re in town.